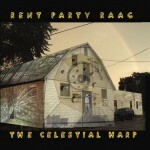 The Universe and Mr. Otto on the Celestial Harp The material on this cd came out of attempts to experience and develop a feel for the rhythms of 8 beat patterns and 13 beat patterns. 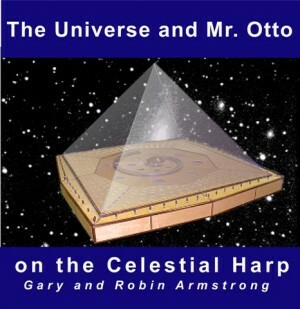 Mr. Otto told his students and friends that the universe vibrates to the rhythms of 8 and 13. 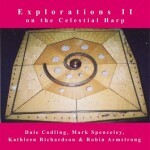 This cd is an exploration into the universe of 8 and 13. The material on this cd came out of attempts to experience and develop a feel for the rhythms of 8 beat patterns and 13 beat patterns. 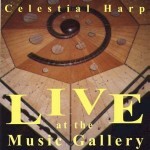 It started with clapping the rhythms, then went onto the Celestial Harp, percussive instruments, the oboe, and finished with the chanting of the rhythms. The counting was done internally without using a metronome. There is no looping. 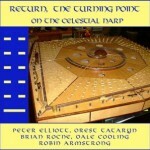 All the material was performed continuously. There are no random sounds. Everything is based on a foundation of either 8 or 13. There are some 16, 24, 26, and 39 beat expressions. The pieces are presented so that the listener can with some concentration follow the rhythms. This is best done with the clapping and the chanting pieces. © 2007 Robin Armstrong, Toronto, On. M5W 1N5.